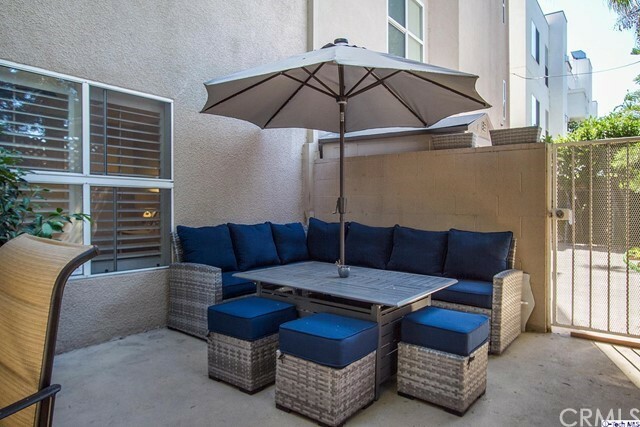 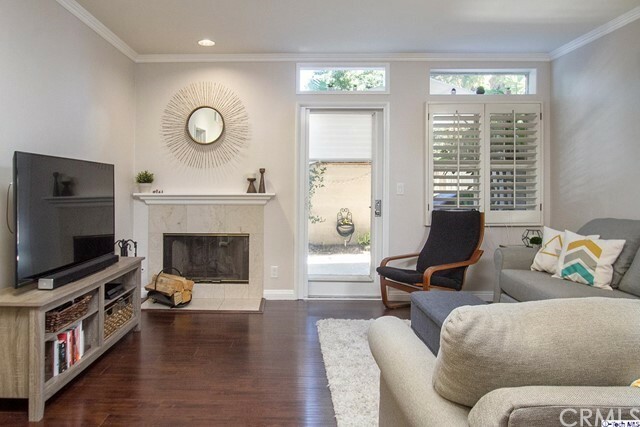 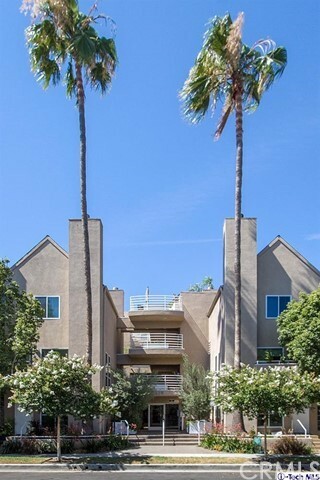 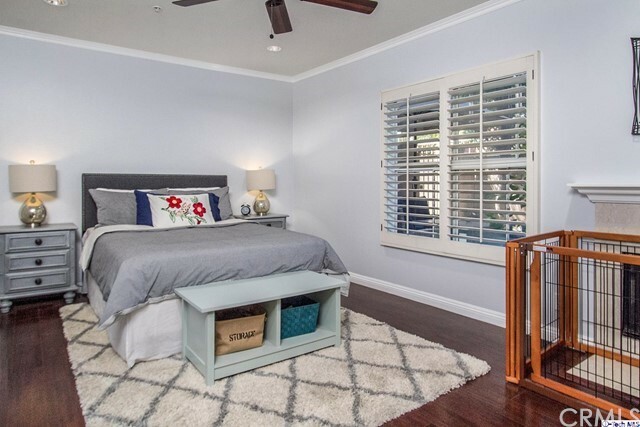 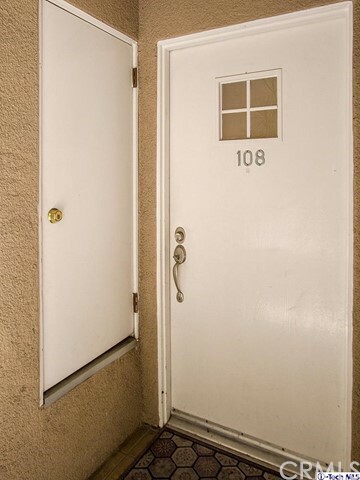 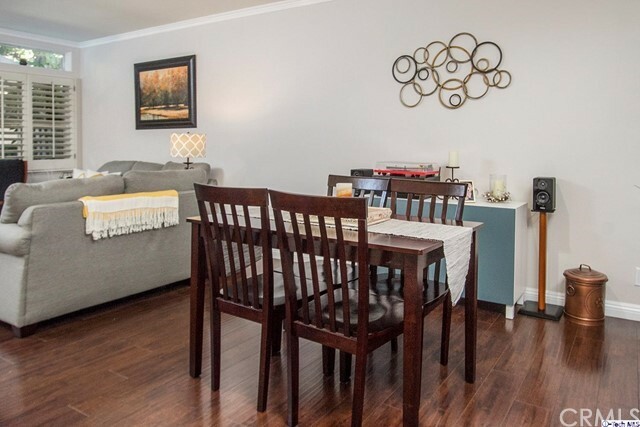 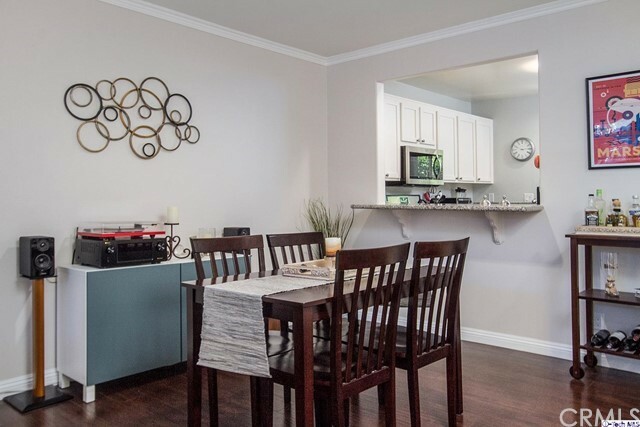 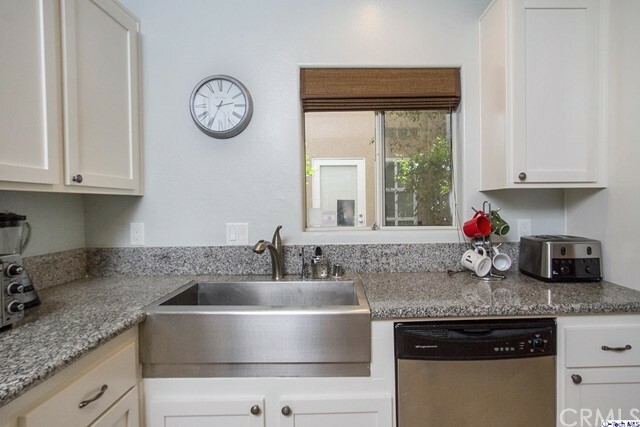 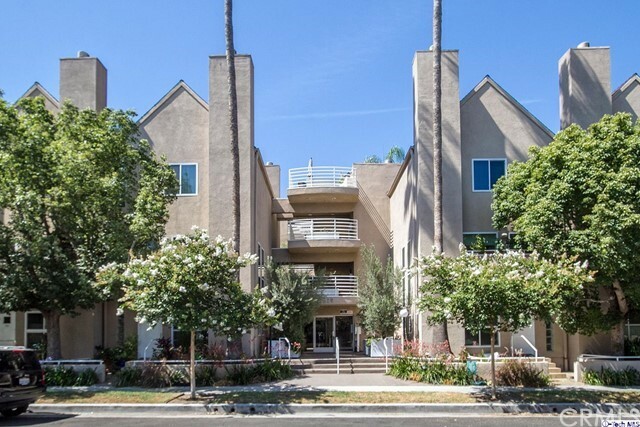 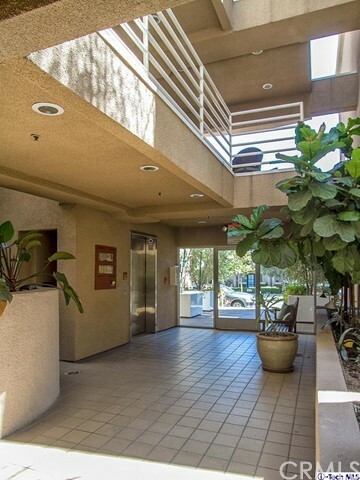 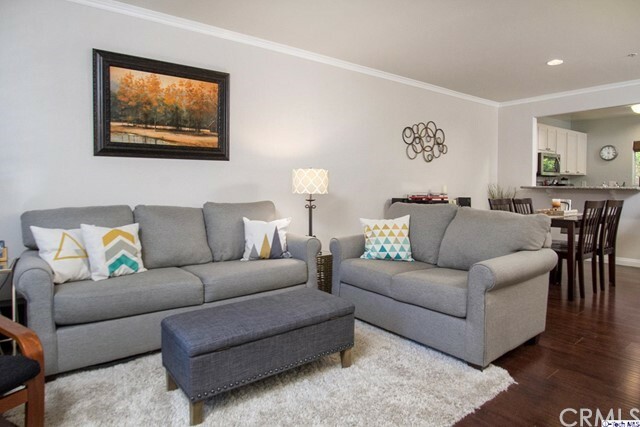 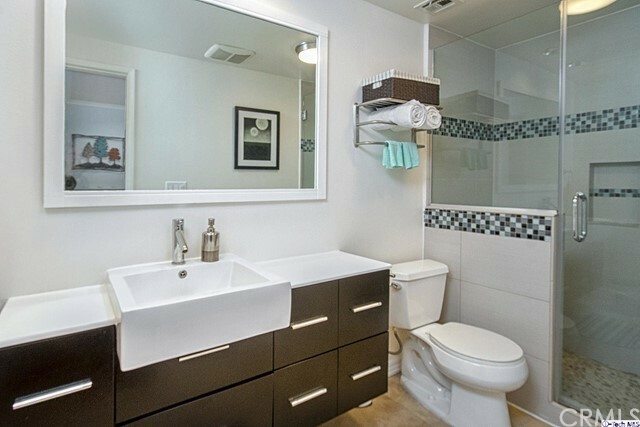 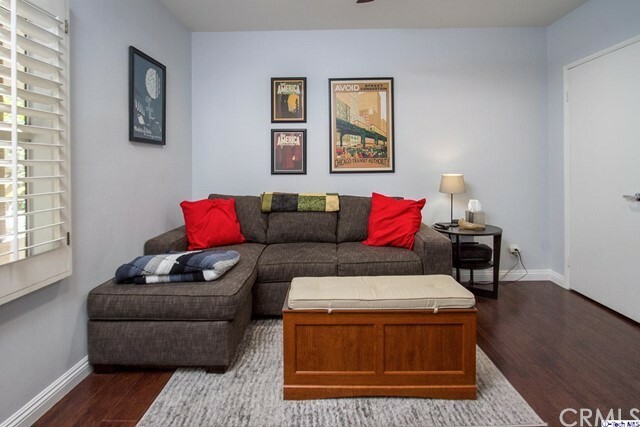 Modern living in this 2 bedroom 2 bath Toluca Lake condo. 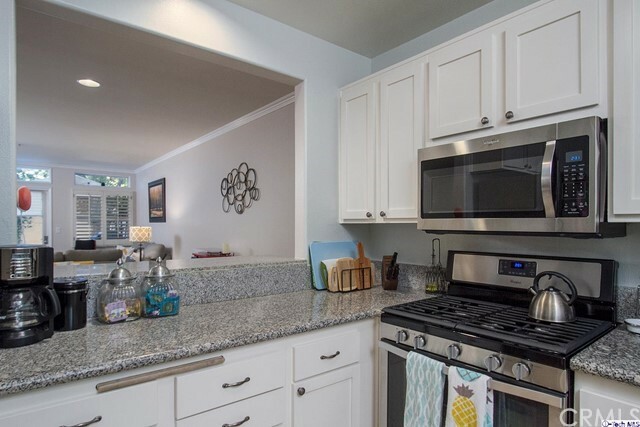 Featuring an open floor plan, modern finishes, plantation shutters, washer and dryer hookup, two fireplaces and a large private patio. 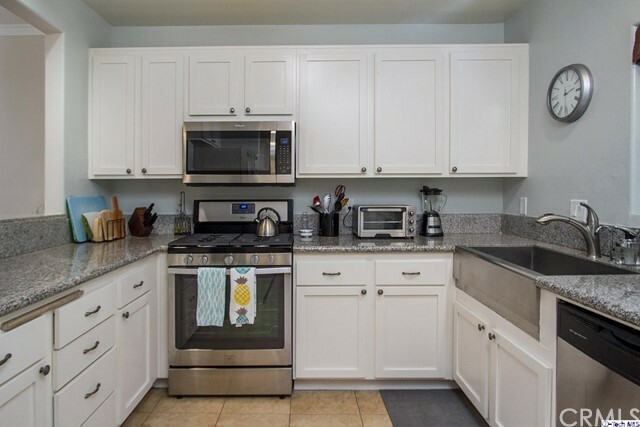 The kitchen is highlighted by stainless steel appliances, granite counter tops, a stainless steel farmhouse sink and a breakfast bar. 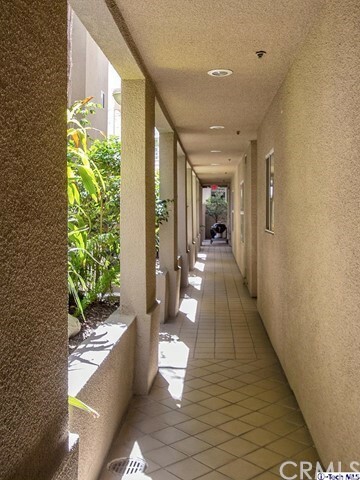 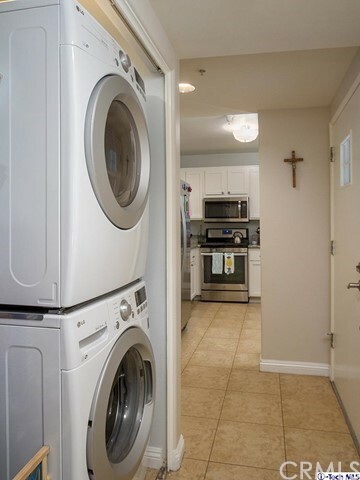 With an open floor plan, this single level unit can accommodate all lifestyles. 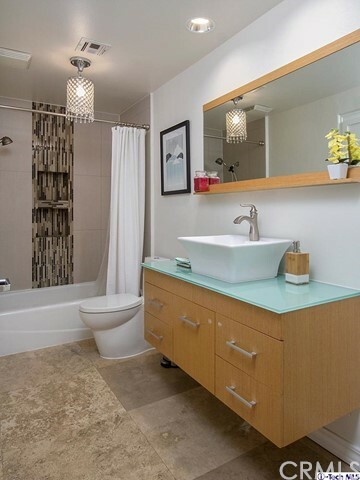 The contemporary bathrooms have beautiful finishes. 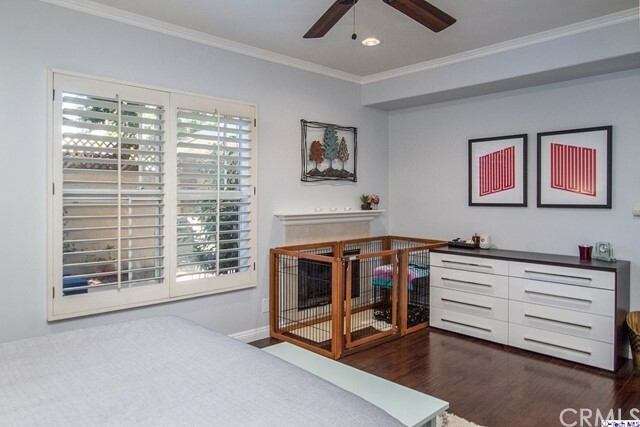 The spacious master bedroom has a walk-in closet, a marble tiled fire place and a large window that looks out to the private patio. 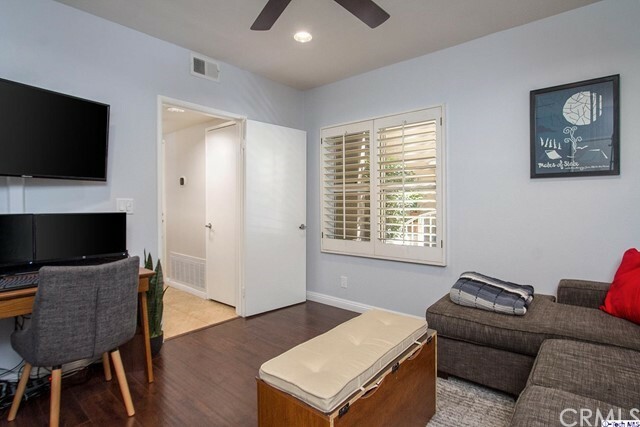 The second bedroom also features a walk-in closet. 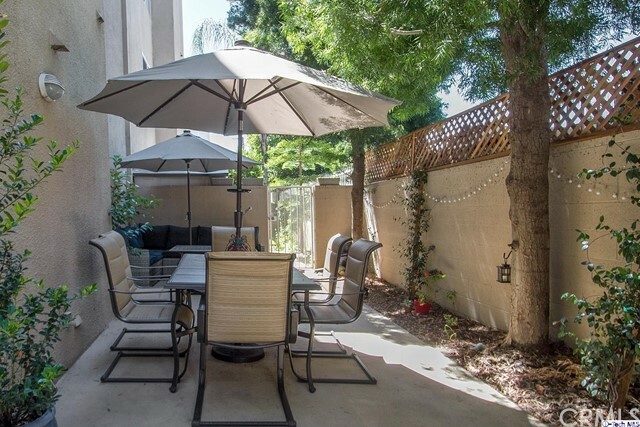 Amenities include a recreational room with a large kitchen and a living area with a spacious patio and barbecue. 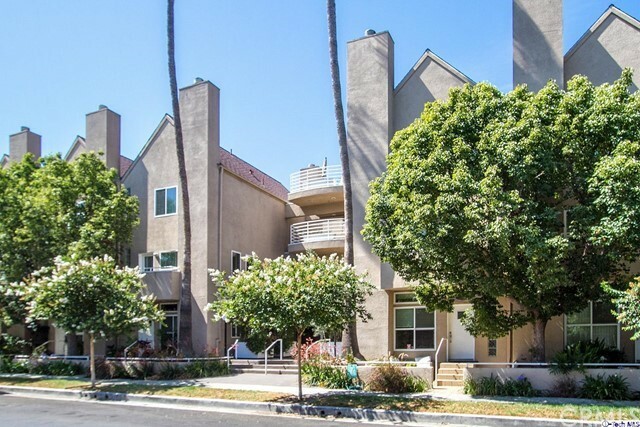 A very charming neighborhood located nearby to restaurants, shops, Universal Studios/City Walk, and the NoHo Arts District.